The Council of Elders of Yerevan Municipality elected Taron Margaryan as Mayor of Yerevan, Tuesday. 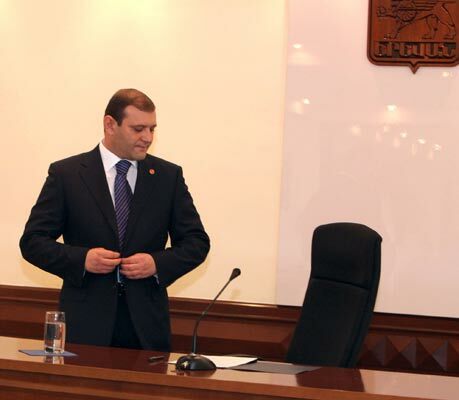 It had been expected that the former Deputy Mayor would take over the seat vacated October 28 by Karen Karapetyan. There were no other candidates. Before the election, Margaryan, making a speech at the Yerevan Council session, stated that he would work with even more diligence, promising to justify Yerevan residents’ hopes. Margaryan, 33, is son of former Prime Minister Andranik Margaryan, who died in office in March 2007 after seven years as premier. The junior Margaryan was head of the Avan district in Yerevan from 2005-9, when he was elected Vice Mayor.